Reading Museum’s collection contains a portrait of Elizabeth I. Exciting recent research suggests that Robert Dudley, Earl of Leicester, may have commissioned it for the Kenilworth festivities of 1575. Similarities in the style, size and pose of the National Portrait Gallery portrait of Dudley and the Reading Elizabeth I are remarkable, leading to the suggestion that these were the complementary pair of paintings made for the Kenilworth festivities. The portrait is currently on loan to English Heritage as a major exhibit at Kenilworth Castle, and is due to return in September 2011. This bursary has helped us with the initial stages of planning a Tudor portrait session for schools. This has involved days set aside to research and develop the session, the fees for an Elizabeth I evening course at the University of Oxford, and the purchase of reference books. The course was excellent and gave me a really good background to the subject area. In addition, I took part in a free course at Montacute House on portraits and costume which was very inspiring. 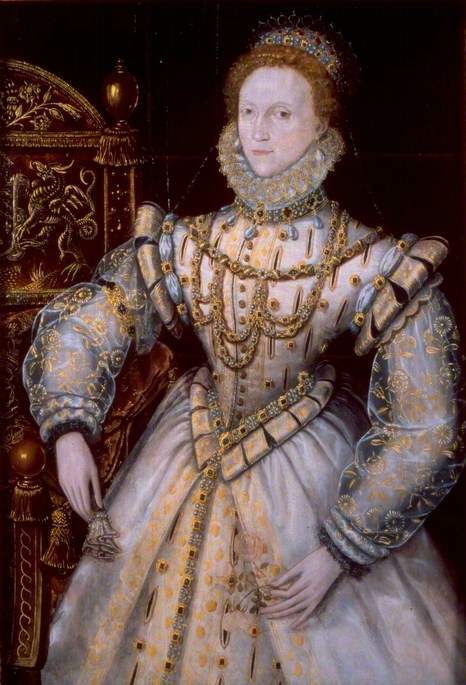 The bursary has contributed greatly to my knowledge of the period, and the symbolism and techniques of Elizabethan portraits. Wider development work at the museum later this year will involve a redisplay of our ground floor gallery to accommodate the portrait, and suitable surrounding space to accommodate groups participating in the session.